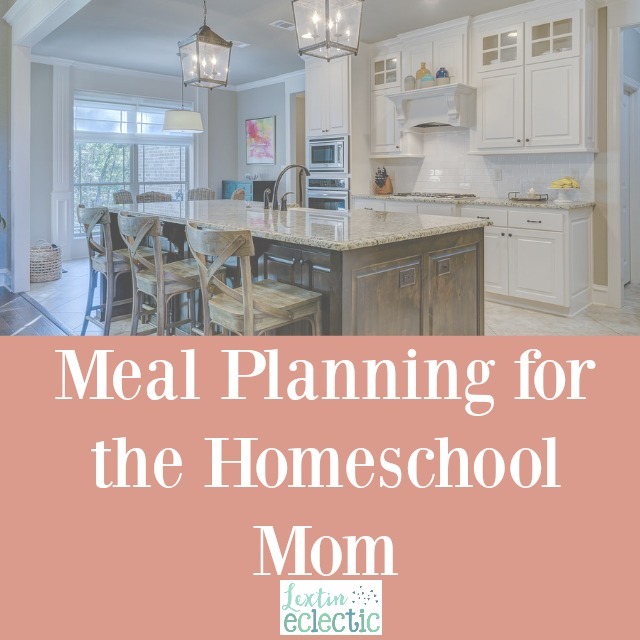 One area that needs a lot of work in our household is meal planning. I’ve slacked off over the past few months due to moving and pregnancy. Therefore, we’ve had to scramble to put dinner on the table many a night. I’m ready to make some changes and have a new plan in place for ensuring that there is food on the table with as little stress to me as possible. I’m going to be intentional in planning meals for my family. We can’t use all those wonderful meal-planning services, apps, and websites due to our food allergies. So meal planning and even recipe creating are up to me (with lots of help from my wonderful hubby). Here’s how I’m meal planning for the new year. So, every Tuesday night I plan some type of soup recipe for dinner and I know that on Thursdays we will have our favorite breakfast foods for dinner. Easy! I also created the same type of schedule for our breakfast menu with some days being oatmeal or muffins or cereal. Having the meals divided by category makes meal planning much more efficient. I don’t have to think through what meals should go on which day, I simply look at my list and select a dish that fits into the correct category. To help with meal planning and keep our recipes organized I created a recipe binder. I actually have two – one for baked items (desserts, muffins, cookies, breads, etc) and another for meals and sides. In our meal binder, I have a section for each category on our weekly category list. I’ve typed out our favorite recipes and slipped them into page protectors behind the correct category. Now I have our favorite recipes with any modifications (for our food allergies) all in one place. If a recipe is in that notebook, then I know it’s a meal we enjoy and would like to make again. As I plan our meals, I look at my category list and then flip to the correct section in my binder. I pick one of the recipes, write it on the calendar, and then I’m done with my meal planning. Rather than plan on a weekly basis, I created some monthly calendars. I printed off some blank, generic calendar pages and wrote in meals for an entire month, making sure I didn’t duplicate any throughout the month. I created two separate meal calendars with an entire month’s worth of meals. (As we try more new recipes and have additional choices, I hope to make more monthly calendars with new options). Having a monthly planned calendar means that I don’t have to do detailed meal planning every week. What a huge time saver! While I have monthly plans, I do review them weekly. I go through the planned meals for that week and make any needed adjustments. For example: if we have a planned night out or another activity, I know I might need to change the meal for that night or plan something very simple that can be eaten in the car. Or if I’m someone’s sick I know it’s time to simplify a meal or two for that week. The monthly calendars are meant to give a starting point to my planning but to also remain flexible. Once I have reviewed the meal plan for the week and made any needed adjustments, I write it into my planner. Then I also write the menu on a chalkboard in our kitchen. These two steps help me stay accountable to our meal plan for the week. Everyone sees the menu on a regular basis and knows what meals are on our list, which means I feel obligated to make the meals I had planned. My kids do not like going off the menu plan! Type A much? Seeing the menu chalkboard also helps remind me of upcoming meals so I can do any prep work ahead of time. I can move food from the freezer to the fridge a day or two in advance, and I can also do some simple prep the night before. After reviewing my meal plan and writing our menu on the calendar, I create a grocery list. This is fairly easy since all of my recipes are in one place. I page through my binder and read each recipe. I do this in my kitchen so I can check the fridge and cabinets for ingredients. Once my list is made, we get our groceries on the weekend and it’s usually my hubby who does the shopping one night while I put the kids to bed. Yes, he’s awesome like that! I review my menu plan at the end of the week so that I have a new plan in place before the weekend. We get our groceries on Friday or Saturday so that we can have some weekend time for food prep. On the weekend I go through our recipes and see what I can prep for the upcoming week. I dice veggies or even cook entire meals to put in the fridge or freezer. I have items in baggies ready to dump into the crockpot and I bake bread or make snack items for the kids. Doing some preparation on the weekend saves so much time during my week nights! Sometimes I even double certain meals to keep one in the freezer for those times when I can’t cook the planned meal. The added bonus to doing some the prep over the weekend is a cleaner kitchen during the week. I make my giant mess on the weekend, so my kitchen is less disastrous during the weeknights. While I prep many dinners on the weekend, I do my breakfast prep the night before. I see what is planned for the next day and I set out ingredients at night. For some meals, I go ahead and prepare them (liked baked oatmeal) or I even bake them (like muffins or breads). This ensures that the mornings run more smoothly because all the ingredients are out or already prepared for me. So that’s my meal planning strategy. My plans are not revolutionary but are instead fairly simple. I’ve found that this is the best way to make sure I follow through – if the plan is easy and uncomplicated it usually means that I actually use it. Here’s to saving some money this year by eating at home and enjoying our family time around the dinner table! Do you have to tackle meal planning and cooking for your household? What keeps you organized?